There are a ton of Android phones out there, far more than I could reasonably list. 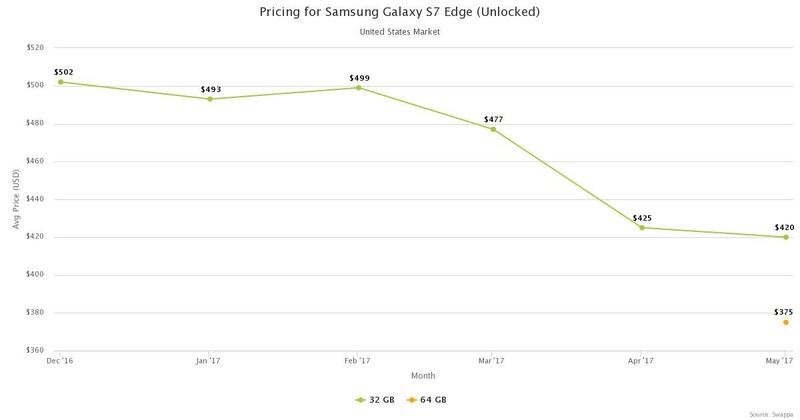 Even excluding those from other markets or carriers, the selection of used phones on the market is staggering. 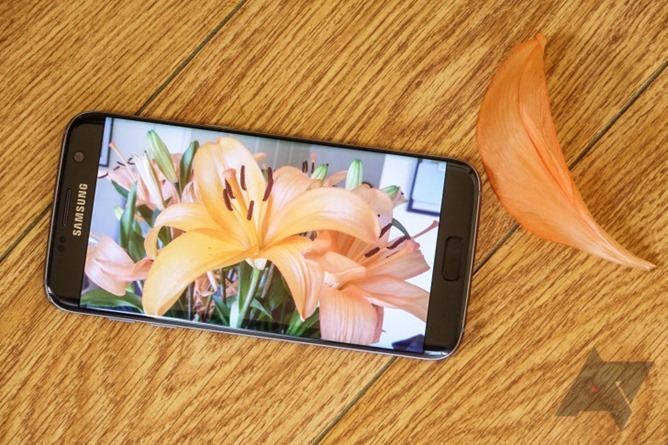 It can be difficult to trim down exactly what you want, but if you do have know your specific needs and what you value most in a phone, this list might be able to help you trim things down a bit. 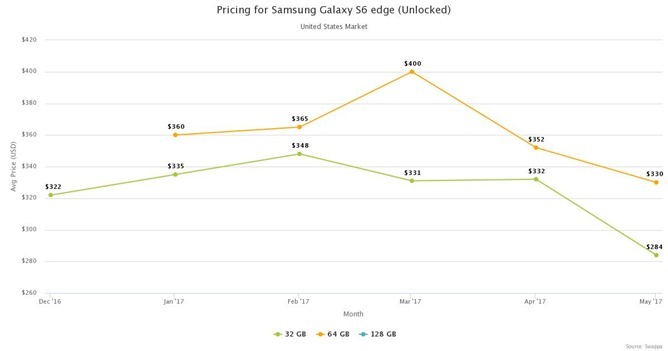 I have pulled together 18 phones across four different price categories and listed some relevant details and features for each. So, if you are looking for a good camera for $200 and don't care much about battery life, or if you're willing to drop $400 on something with good ROM support, you'll have some examples and references for your phone shopping adventure. Do note, the prices I have listed in each heading are estimates. Since used phones are typically sold by individuals, it's up to the seller to charge what they think is a fair price. You can end up paying more for something in better condition, and you can occasionally find some pretty great deals if you are willing to overlook cosmetic issues or missing parts. So while my numbers might be a good way for you to start your own research, there are a lot of different variables to consider, and the market might fluctuate away from these numbers. The following post is sponsored by Swappa (which is a great place to buy or sell a phone, by the way). Swappa does not write any of the editorial, suggest any of the devices, or otherwise involve themselves with the content of this post. Our suggestions are completely independent of this sponsorship, and we receive no compensation for pushing or excluding particular devices. If you like this post and want to support content on Android Police, though, check out Swappa — it really is a great marketplace for used gadgets. 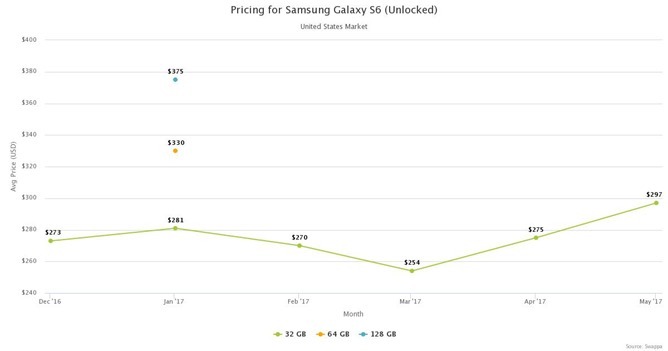 Any of the phones at this price point tend to sell quickly, so if you see something you like at a reasonable price, the time it takes to deliberate may be enough to see it sold to someone else. If any of these are relevant to your interests, I would recommend setting a budget and grabbing the first one to meet your requirements. These phones might not have full frequency support for all US carriers, may not support Android Pay via NFC, and will generally be more lacking in features and performance compared to most others on this list. These are borderline-disposable phones. They are all older, probably won’t see any more updates, and you can expect security vulnerabilities if you don’t toss a more recent ROM on them. 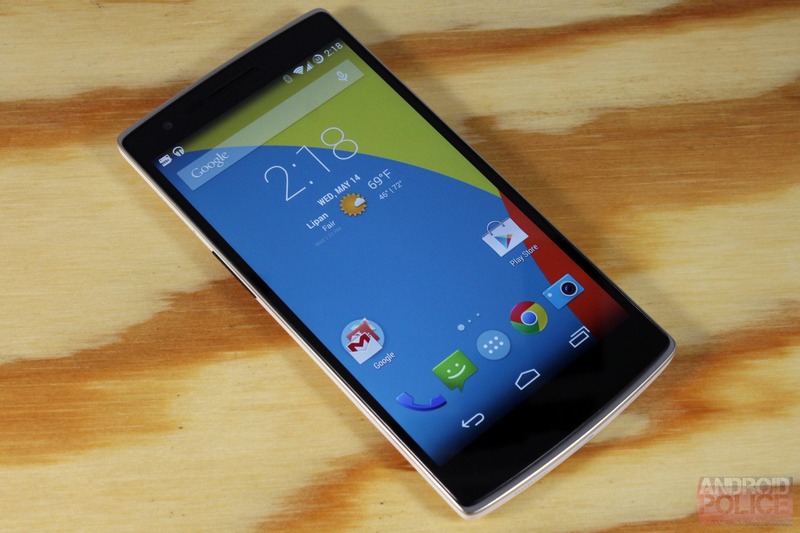 The OnePlus One has two stock firmware groups, OxygenOS and Cyanogen OS. OxygenOS on the OPO was updated as far as Android 5.0 Lollipop and Cyanogen OS went to 6.0 Marshmallow, and that's where software updates stopped. If you want to run stock, you'll end up being stuck with one of the two of them. However, many Nougat builds are available if you are willing to flash a ROM. 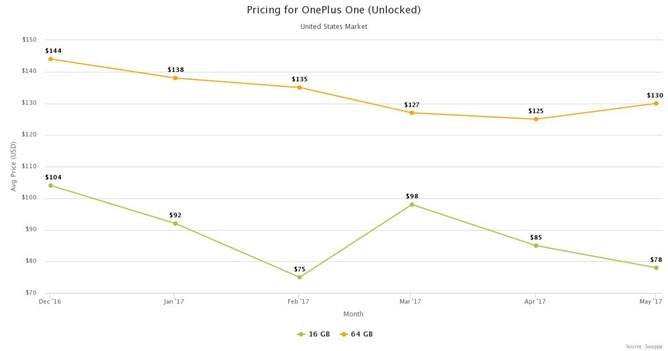 In its day the OnePlus One was an excellent value, though it wasn’t without its problems. Some have experienced issues with the mics on the phone, and the display can be a bit uneven. 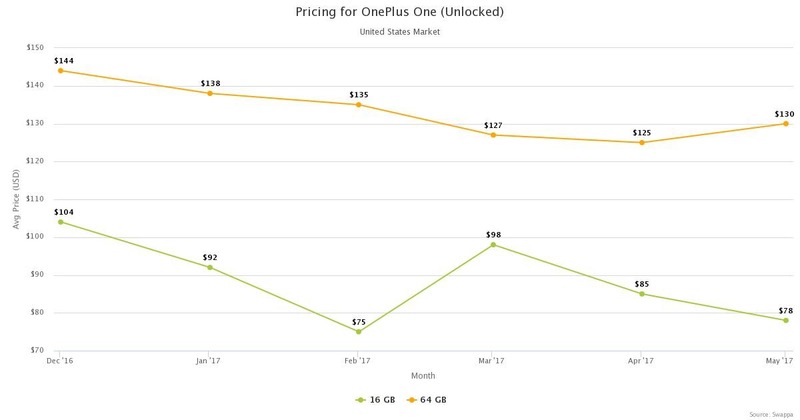 Even if you don’t have to participate in an invite system to buy a used OnePlus One, you still have some other things to keep in mind. The biggest drawbacks to owning one these days include middling performance on the older Snapdragon 801, limited radio support (no Band 12 support for T-Mobile), and a pretty mediocre camera. Advantages include incredible ROM support, decent battery life, and crazy-fast storage speed. So fast, frankly, that read and write performance on the phone still exceeds almost everything on this list, except more expensive recent phones. The 2015 Moto G sells quite quickly, regardless of the outlet. As a result, you might not see a ton of them for sale, and if you do spot one, expect it to go soon. They don't last too long on Craigslist, eBay, or Swappa. 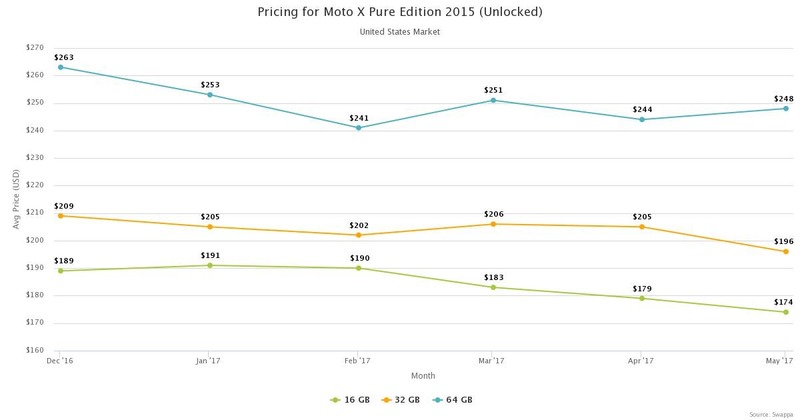 The 2015 Moto G is a pretty great value, even in 2017. 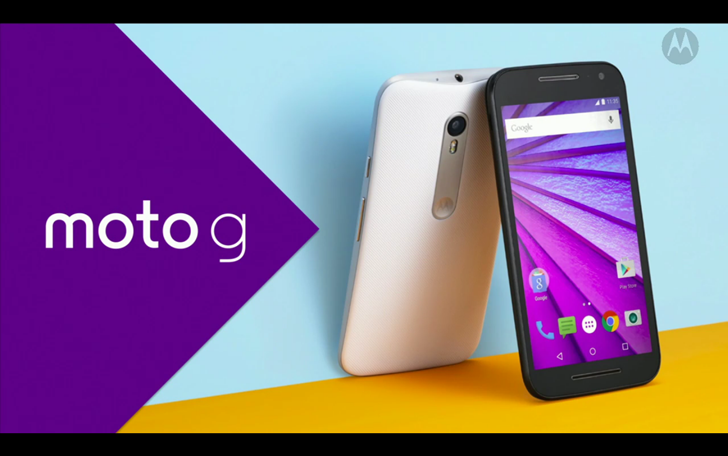 The factory software on the Moto G is pretty close to stock Android. Originally, the device was on a short list for future Nougat support, but then the manufacturer (Lenovo) pulled a Lenovo. 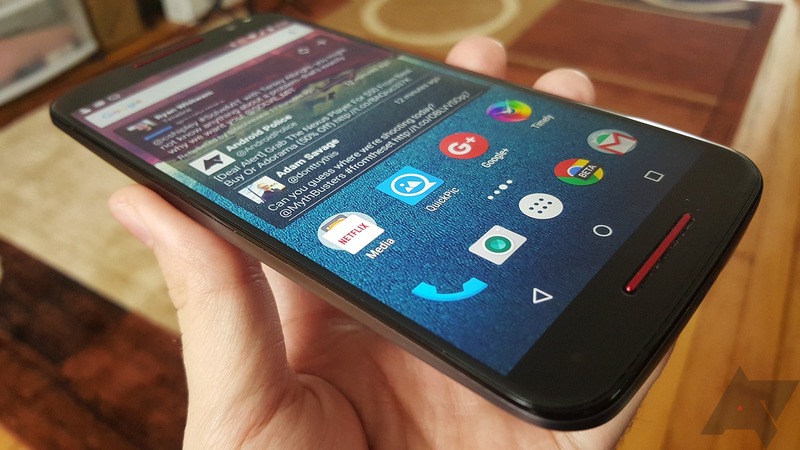 Now it’s only up to Android 6.0, and the odds are that is where it will stay. It is still receiving at least some security updates, though. If you are absolutely determined to run stock that means you won’t have to worry quite so much about security problems, at least in the short term. It has decent ROM support if that’s your preference. There are many Nougat builds are available across a wide variety of sources. The bootloader is easy to unlock, too. It also has a big and bright (but low-res) screen, decent camera (for the price and era), and good battery life. Keep in mind that it is relatively slow, though. 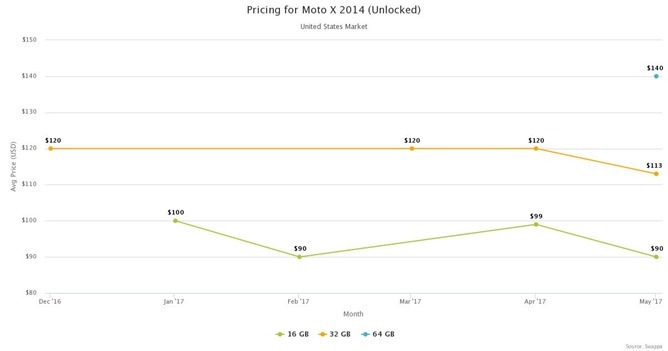 The Moto X might be an older phone, but depending on your interests it might be up your alley. 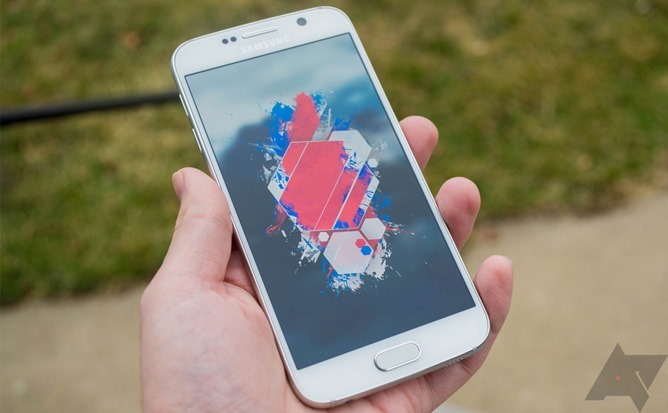 If you dig something on the smaller side with an AMOLED display, then it is sure to please. Keep in mind that it is dated. Performance won’t be quite as good as some other stuff at this price point, and software support has long since ended. In my opinion, this is a ROM it or leave it deal. Stock support only goes as far as 6.0 Marshmallow, and security would be a concern. At least the bootloader is easily unlocked. 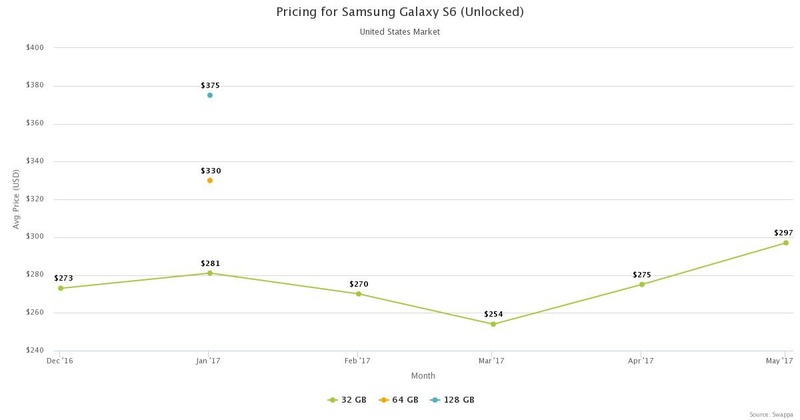 I would recommend you purchase the unlocked model since carrier prices are pretty comparable to it (assuming it supports the frequencies you need). 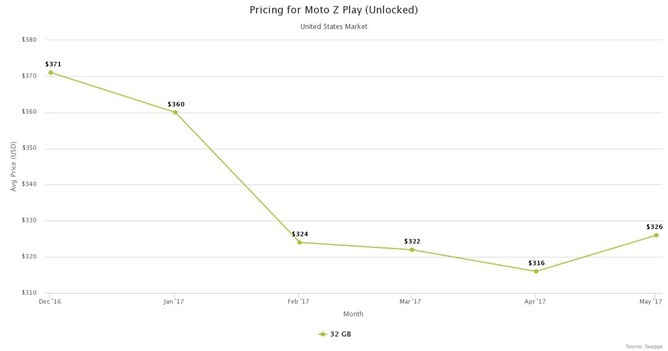 We dug the phone about as much as we could when it came out, as it was pretty much the peak of the Google-owned-Motorola era. Almost everything we liked about it has been exceeded by modern developments, though. The camera may only be acceptable by contemporary standards, and battery life is pretty weak. 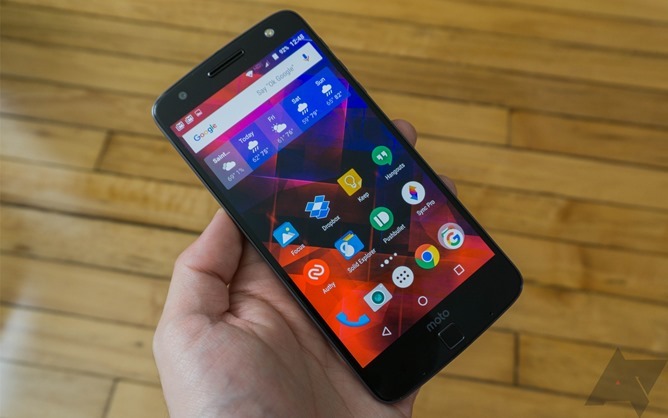 If you are into exotic or unusual materials, the Moto X had a ton of customization options via Moto Maker, so you can sometimes find leather and wood-backed varieties. This phone is a huge exception for the low-end price point. Almost all of my general statements related to cheaper used phones don’t apply here. This is probably your best bet for a sub-$150 used phone. If you keep an eye out, you can even occasionally grab one new for around $130. If I were in a tight spot and needed a cheap phone to tide me over for a while, this would probably be my first choice. Stock updates have gone as far as 7.1.1 Nougat, and if the recent acquisition by Razer doesn’t concern you too much, it’s likely to be an excellent choice. Software support in the future is a bit of a question. It should still continue into 2018, though warranty support is set to end sometime in July. Even with those disadvantages, this is a great and recent mid-range device, and at $130 it’s a steal. It even has good ROM support, with a near Nexus-level selection, and a very easily unlocked bootloader. At a basic level, it's a good phone, perhaps with a slightly mediocre camera and somewhat underwhelming performance from the Snapdragon 808. Given the price, though, it’s a fantastic value. Here we enter into more modern territory. Most of these phones are going to be recent, mid-range to low-end-flagships of the last two years. Software support is likely going to be present, though nearing end-of-life status. But these phones will support most modern technologies, and may even have some fun new features like fingerprint unlock, NFC for Android Pay, and support for most frequencies currently used by major carriers. These phones should all have at least one more year of good use left in them. 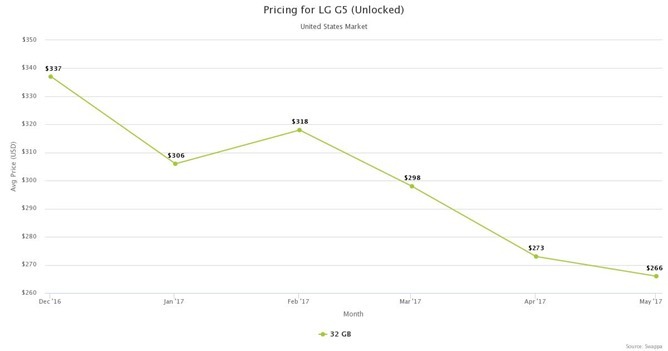 If you aren’t interested in flashing ROMs, then carrier-locked prices for the G5 can be slightly lower than an unlocked model. 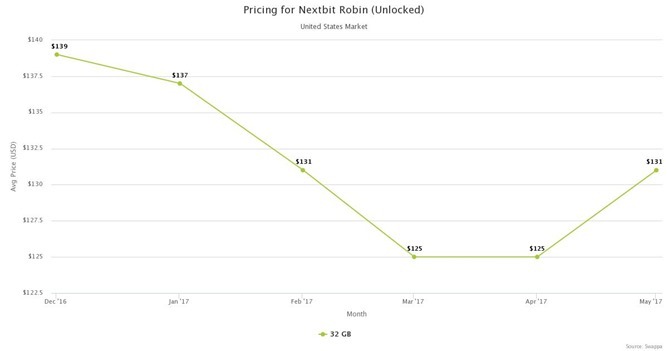 So if you don't need the freedom, you might be best off sticking to a locked device (the Verizon model is SIM-unlocked, too). The phone has been updated to 7.0/Nougat, so it is running modern software. Historically it has even seen relatively frequent security updates. Unlocking the bootloader on the US unlocked version (RS988) is also possible, even if it is an obnoxiously convoluted process. The carrier versions aren’t so easy, though, so I wouldn’t pick one up with the expectation of flashing ROMs. 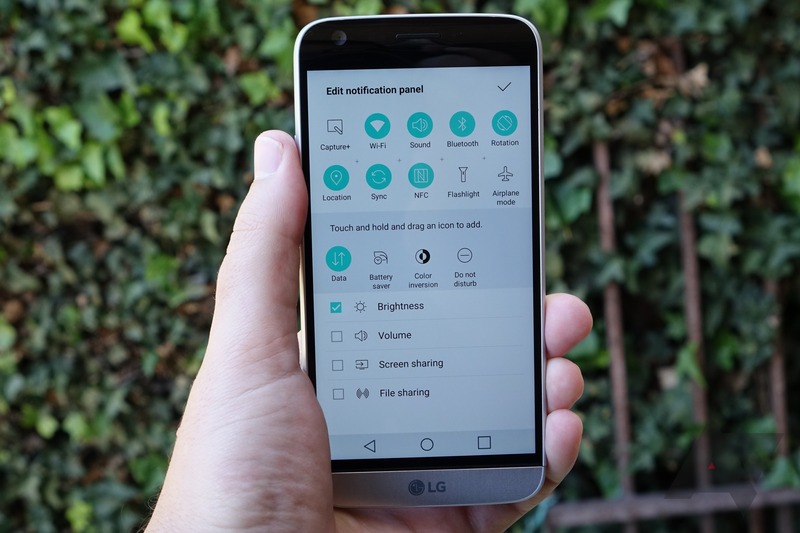 The G5 suffers some of the same issues that the Nexus 5X on this list does. Basically, bootloops. It also wasn’t the greatest phone when it came out. Most of that had to do with the ridiculous $600+ price tag, but what disadvantages it has are a bit more reasonable at its current used price points. Even so, battery life isn’t fantastic, and though the dual camera setup might be functionally useful for some situations, image quality can be mediocre. ROM support also isn’t amazing, but if you get the US unlocked model, you do have a reasonable selection. 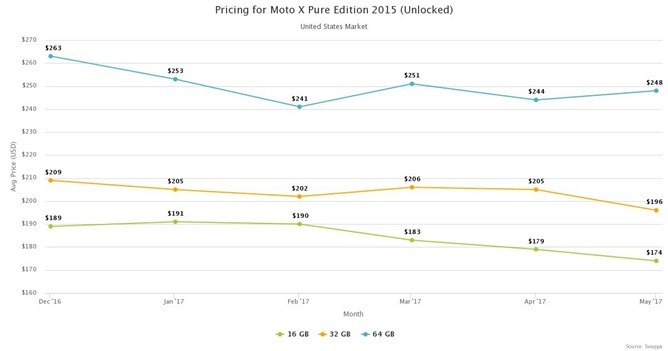 The 2015 Moto X Pure Edition is on 6.0 Marshmallow and isn't yet updated to Nougat (though there are Motorola documents to that effect, so presumably a soak test is ongoing), and given Lenovo’s track record I wouldn’t expect to see things go much further than that. Developer support for ROMs has been surprisingly lackluster for a Motorola device, though most of the basics are all there (Ressurection, Lineage, etc.). This was a great phone when it came out, but it is a bit older than some of the others at this price point. The camera is good for its age, though not as performant in low-light as the Nexus 5X. However, this is a larger and higher-resolution phone, and you also don’t have to worry about suffering the stereotypical LG bootloops. There are 16, 32, and 64GB models with a wide variance in price, but across that spectrum, you can still find a decent value. 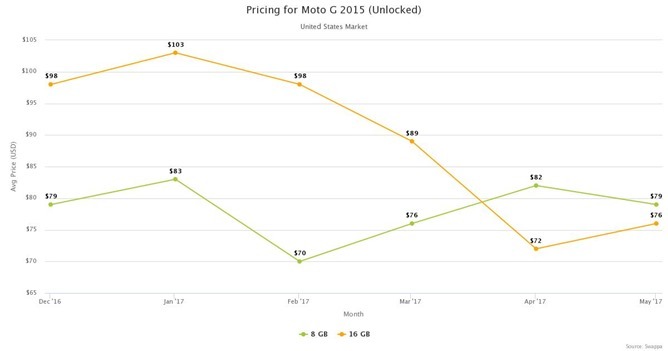 Thanks to Moto Maker you can also expect to see some pretty funky color and material combinations for sale out there. These phones will either be aging flagships that have held their value well or last year’s pricier mid-range devices. You can expect most modern features to be present, good performance, and a range of remaining software support. Anything here is still good for another year or two (or more) if you don’t get upgrade fever. There are a ton of different Galaxy S6 models and carrier variants, so it might take some shopping around if you don’t know what exactly you want. 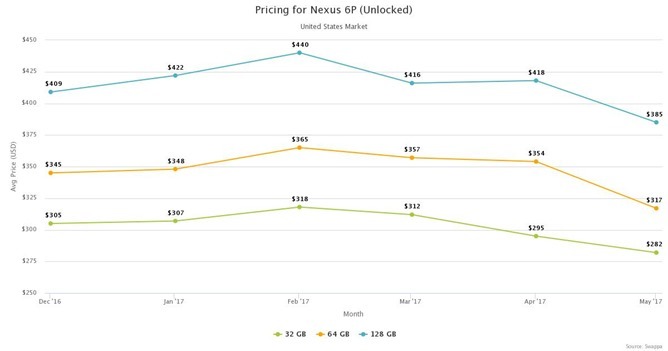 The carrier-locked models are also much cheaper, in some instances nearly half the price of an unlocked device. Most have been mostly updated to Nougat, though a couple carrier SKUs and some unlocked models might still be stuck on Marshmallow. 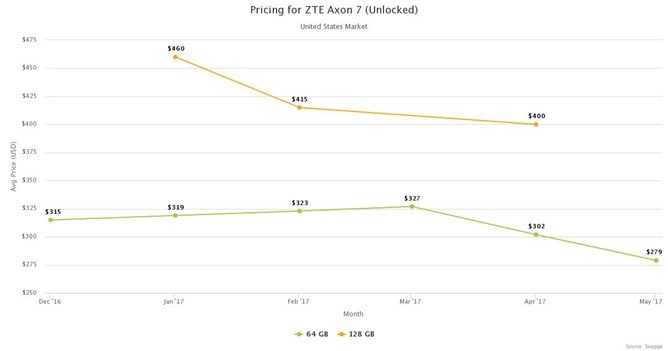 If you do decide to go for one of the unlocked versions, like the US G920T, you can anticipate very reasonable prices depending on size ($200-300 at the time of writing), as well as limited ROM support. Official releases for things like Lineage might be missing, but there are some options. The Galaxy S6 was a good phone at launch, and it has aged quite well. Battery life is a bit meh, and TouchWiz is an acquired taste (to say the least), but it has a very good camera, fast storage, a great screen, and a ton of small added benefits like wireless charging, Samsung Pay with MST, and a fingerprint reader. Even today it’s not a bad choice for a phone, and if you need something cheap but fully-featured, this might be the way to go. If you are interested in running a ROM, this might not be the phone for you, though, as there are other better options out there with a wider selection, and a lot of the little benefits of having a Samsung phone may not carry over to other ROMs. 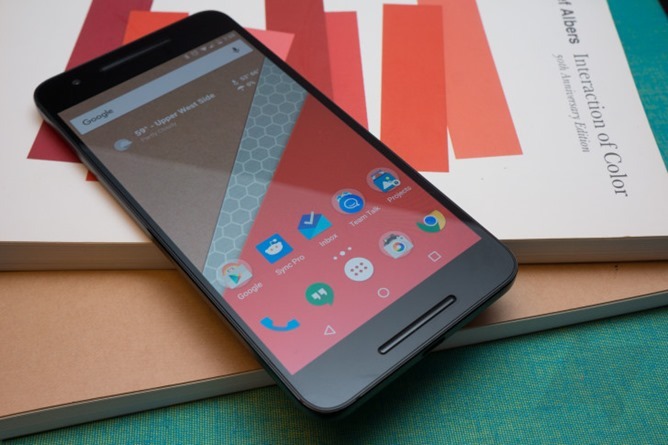 It’s a recent Nexus — one of the last two, in fact — so you know you’ll get the latest updates for a little while. The 6P, of course, is currently running Android 7.1.2 with the latest security patches. Major updates will continue till this September, and security patches should also be available until the same time next year. And if you like a vanilla experience, this is about as stock as it can get. No crazy manufacturer skins with bad performance and missing or relocated features. Everything is right where you'd expect — just the basics. 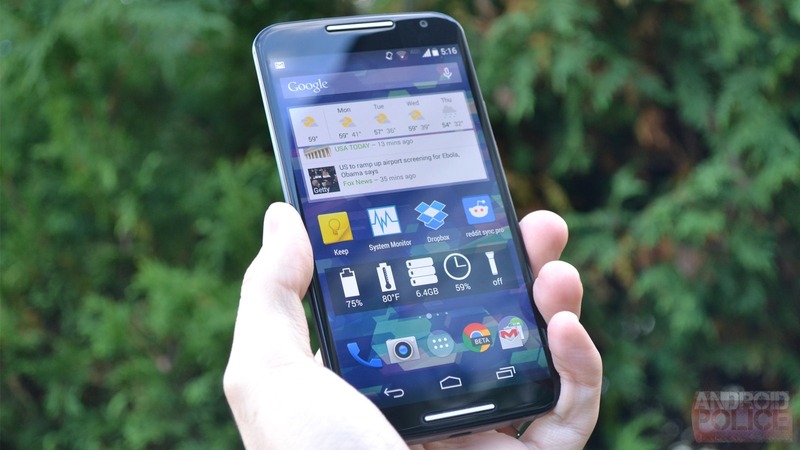 As a Nexus, ROM support is excellent, so whatever you might have in mind, there are probably builds for it. Lineage, AOSPA, Pure Nexus, whatever strikes your fancy. You can get it in 32-128GB sizes based on your needs/preferences and prices run from around $300 to $400. Battery life might be only acceptable on the 6P, but almost everything about the phone, other than the original price tag, was pretty great. The camera is still fantastic, the display is great, build quality is sturdy, and it’s a Nexus. And now that you don’t have to worry about stock woes or the high price tag, it’s an attractive proposition. 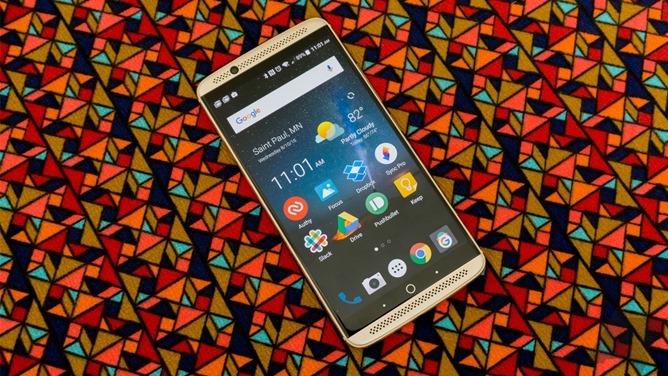 The ZTE Axon 7 flew under most people’s radar, but it was an excellent phone. 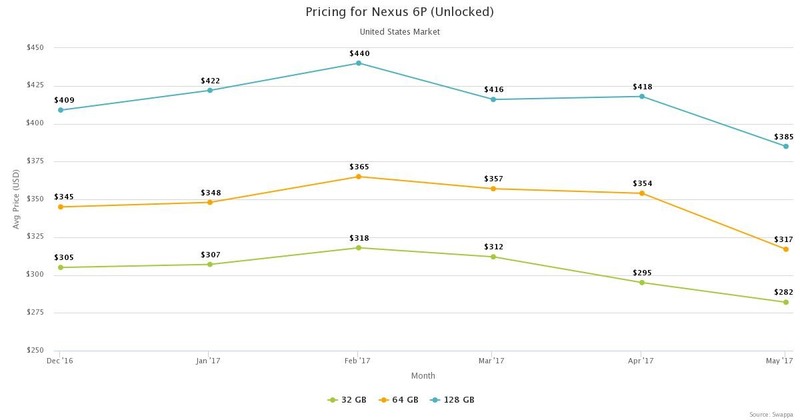 Along with the OnePlus 3, it filled the Nexus gap of the last generation, providing high-end specs — with a few drawbacks — at a ridiculously low price. Much like the OnePlus and Nexus devices, you can now unlock the bootloader on it easily enough, and ROM support is present if a bit limited. There are two size SKUs out there, but the 64GB is probably enough for most people, and you can pick one up right around $260-300. 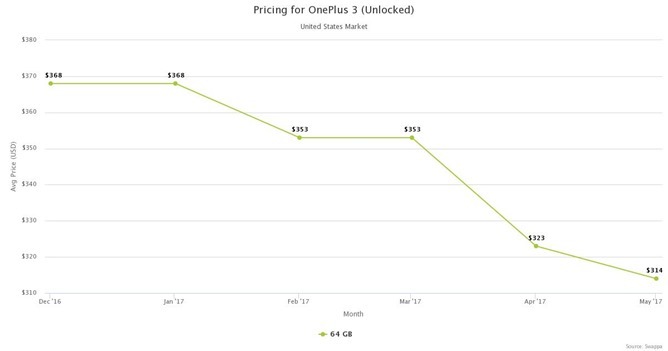 Even though the specifications are mostly comparable to the OnePlus 3 with a higher resolution display, it hasn’t held its price quite so well. You get a Snapdragon 820, 1440p AMOLED display, mediocre camera, stereo front-facing speakers, and a high-end DAC. The hardware navigation buttons might not be to everyone's tastes, but if you go the ROM route that can be mitigated. The Z Play runs 7.0 Nougat, (with a 7.1.1 soak in the works), so it’s pretty up-to-date. It is a Lenovo Moto, though, so the length of software support and updates is less a question than an answer: not great. 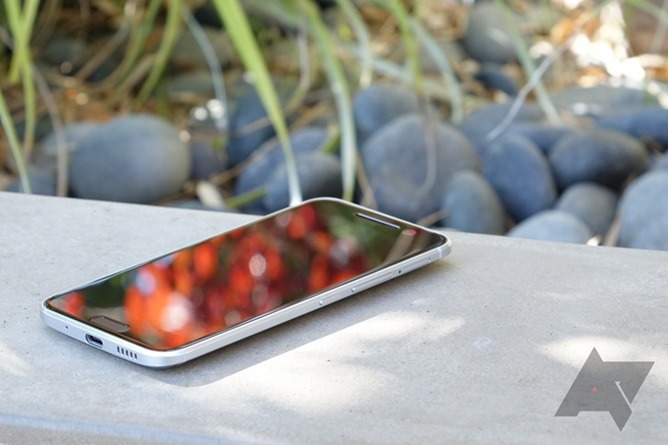 Still, it’s got some features that few other phones have, like the modularity and exceptional battery life. This phone has held its value surprisingly well. It’s not quite as high-end as some of the other phones at this price point, though, so if pure performance is a concern this may not be the pick for you. The Snapdragon 625, while long-lasting, isn’t quite at the same level as the 820, or even the older 810. But, if you want something with a decent camera that can last for days, this is your jam. It just isn’t quite a flagship, while some of the other used phones at this price-point are. The screen isn’t the best out there, it lacks 802.11ac support for Wi-Fi, and the design and modular expansion are sort of polarizing, but we generally liked it in our review. And, it’s a Lenovorola, so some models have an unlockable bootloader. As a result, ROM development for the phone has resulted in a pretty reasonable selection as well. Prices for carrier variants of the HTC 10 run a bit cheaper than the unlocked, but ROM support on those phones won’t be quite the same. The carrier SKUs, unfortunately, do have locked-down bootloaders. The phone was updated to Nougat late last year, though, and HTC is even fairly light-handed with modifications over stock. So at least you don't have many reasons to toss a ROM on. Security updates are also somewhat regular. 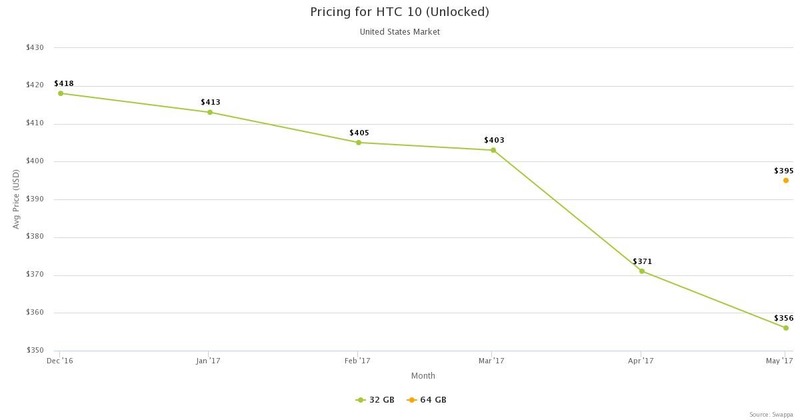 We didn’t think it was the best phone when it came out, but that was primarily a result of the price tag. For a flagship, it had too many drawbacks to be a decent value. Even at $300, it might not be palatable for some. The speakers are a bit meh, the display has issues, WiFi range is poor, and the camera can be hit or miss. But battery life is solid, specs (at least on paper) are good, the camera can perform well at times, and — if you do decide to go the unlocked route — you have some decent ROM support with a very active developer community. Now we get up to the high-end territory. This is the region I like to call “last year’s flagships.” The prices here haven’t fallen much yet, and the phones are all excellent devices with few drawbacks, even compared to new models. For these advantages, you have to pay a premium in price. 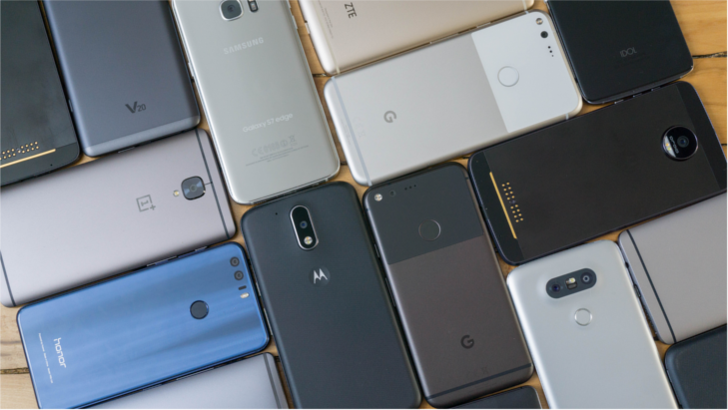 Almost all of these phones will be running the latest versions of Android, and you can anticipate at least a few more updates in the future. 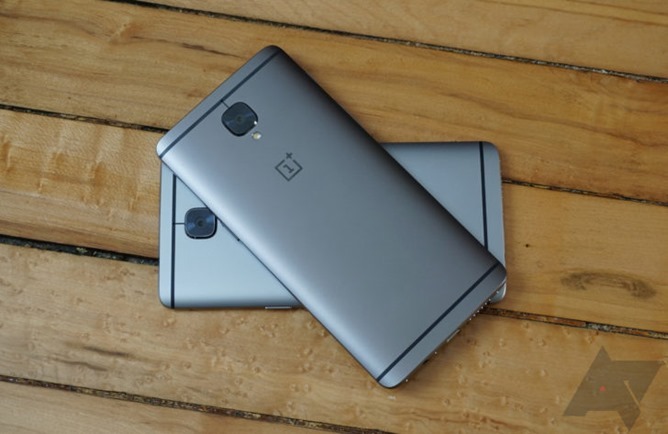 Both of these phones have been updated to Nougat via Oxygen OS 4.1.3, and OnePlus has announced its commitment to release an Android O update in the future. However, after the way the company treated the OnePlus 2, I am very suspicious for the future of stock firmware on these two phones. Thankfully this phone is a Nexus-like, so you can easily unlock the bootloader, and ROM support is exceptional. 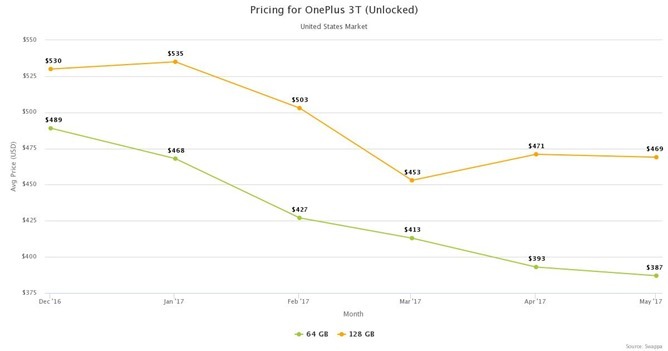 Both of these devices have also held their value quite well, so prices haven’t fallen too much since launch. The two models are basically identical, save for some minor improvements in SoC and battery size in the more recent 3T. If you absolutely want the better of the two the 3T is the way to go, but the 3 does run a good bit cheaper. 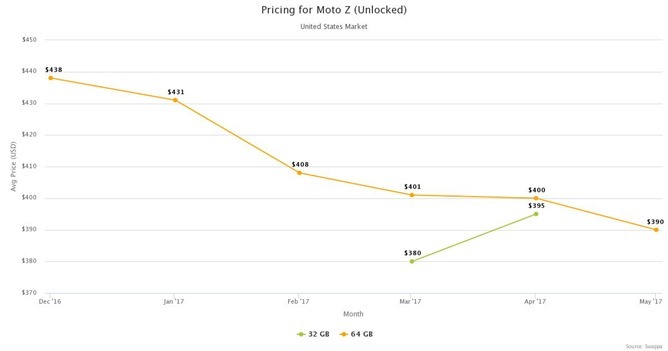 We generally liked both phones, though battery life was only average. Some other features like the (thankfully optional) capacitive buttons, display resolution, and physical alert slider can be a bit polarizing. But both phones are crazy-fast, with great hardware, solid build quality, and excellent storage speeds. The camera is even pretty great. The Galaxy S7 and S7 Edge are both excellent phones. 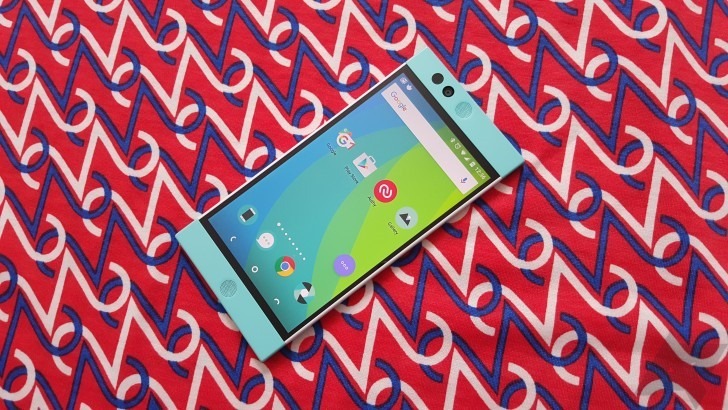 They were well-regarded flagships last year, and at $350-$450, they are a pretty great deal. Battery life is decent, the camera is excellent, they both have expandable storage, an impeccable build quality, fantastic displays, and they’re waterproof. There are a few drawbacks, though. In particular, performance is hit or miss with the thoroughly thermally-neutered Snapdragon 820. 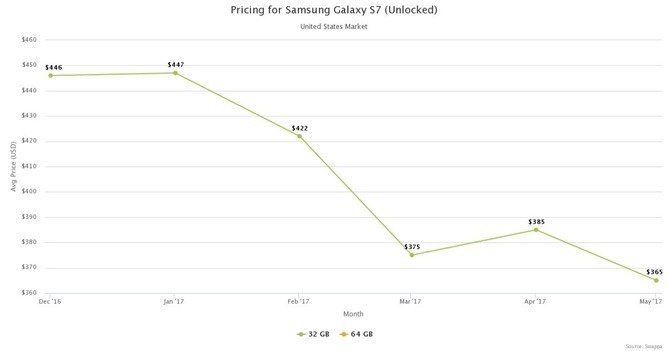 There are a lot of SKUs for Samsung phones, and because of that, I’m mostly going to have to speak in generalities about the Galaxy S7. Carrier prices are a bit cheaper than the unlocked models, but if you are interested in ROM support, I would recommend the latter. If you’d rather run Samsung's stock software and updates are more of a priority, you are more likely to see updates come faster and more regularly on a carrier-branded unit. ROM support seems to be better for the Exynos variants if that’s your interest, but whatever model you decide on, you’ll need to check that it supports the frequencies you might require. Generally, you should be OK with frequency support on the unlocked models, but the Qualcomm-powered SKUs do support more bands in the US. The Z Play might be cheaper, but the full Z is a much more powerful phone. Much like its little brother, it has held its price well. Lenovo thankfully pushed the unlocked version of the phone pretty hard, so you don’t have to worry about a ton of carrier variant SKUs as you might with other phones. However, the Verizon version is much more readily available and much cheaper. If you need a good Verizon phone on a budget, the Moto Z DROID Edition is a steal (and SIM unlocked), with many available for under $300. Nougat hit the Moto Z a while back, so it is up to date, but with Lenovo steering software development it’s uncertain for how long that will remain true. 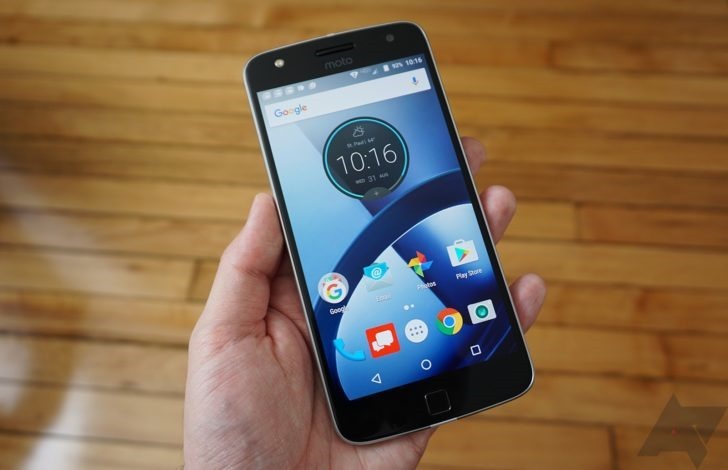 I wouldn’t buy any Lenovo phone these days with software updates in mind, but the Moto Z is recent enough it’s possible it might get updated to Android O when that lands. ROM development on this phone is solid. Not quite Nexus level, perhaps, but you probably won't have to worry about your favorite mainstream ROM being supported. Since it’s a Moto, unlocking the bootloader is also a straightforward and simple prospect. The Moto Z does have some drawbacks. Although the phone is very thin and light, with a great display, fantastic performance, and close-to-stock software, battery life is sadly poor, the design is a bit awkward, and there is no headphone jack. It's up to you if those disadvantages are worth the discount. 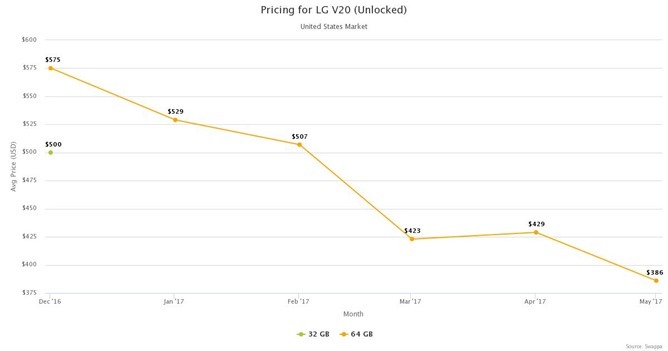 As you see with Samsung phones, the LG V20 has a lot of carrier-locked SKUs as well as unlocked models. Carrier prices for the V20 tend to be cheaper (with the Sprint model being an insane $270), so if you don’t need an unlockable bootloader that might be the way to go. You can unlock the bootloader on the unlocked US model to toss on ROMs, though the process is pretty ridiculous. At least it’s an option, though. ROM support is minimal but decent. There are options, but don’t expect OnePlus, Nexus, or even Motorola level developer support. The V20 shipped with Nougat, so at least you know that you’ll be up to date. The V20 isn't water resistant, the display on the phone isn’t the best, and LG’s software is a bit meh. But, the phone does have a lot going for it. The old-school will appreciate seeing a replaceable battery in a modern flagship, the camera is decent, audio quality with the included Quad DAC is impeccable, and the weird extra display up top has some potentially useful features. Though it was far too expensive at launch, for $350, it is a decent choice. 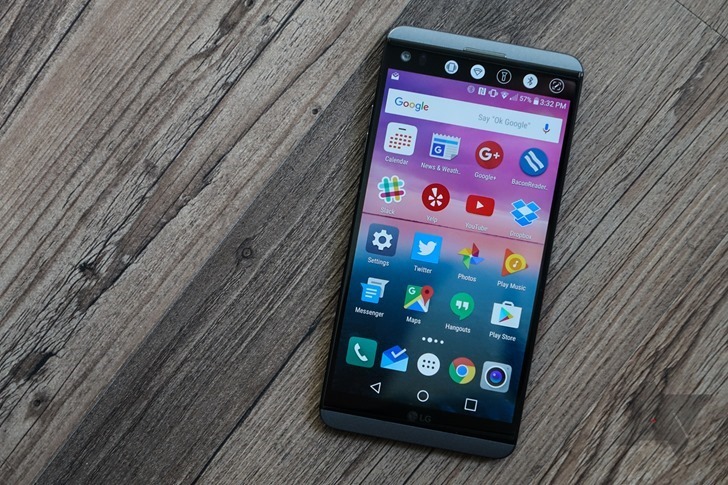 This list is non-exhaustive, as there are tons of phones out there worth considering. A lot of older Nexus devices might still be worth attention for those willing to tinker on extreme budgets, and there are other recent flagships and mid-range phones that might not have made the cut for one reason or another. But these examples can give you an idea of how far your money can go when you are willing to pick up something second-hand.